The project documents the dynamic neighbourhood through audio storytelling. 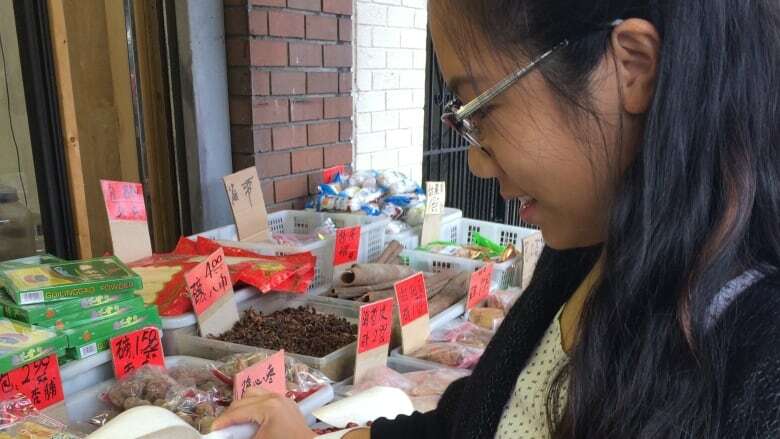 Sounds of shoppers in busy markets, cooking in restaurants, and noisy street construction can all be found on the Vancouver Chinatown Sound Map, a creation of UBC student Angela Ho. 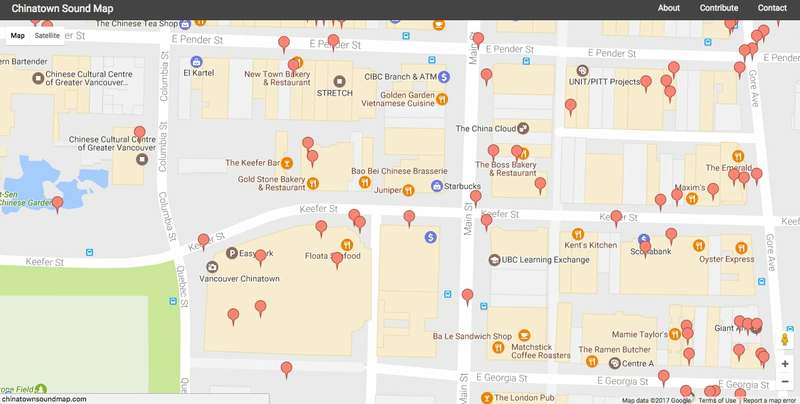 The interactive map takes listeners on an audio journey through the city's Chinatown. "I have a lot of childhood memories just being in the neighbourhood," said the geography student. "I used to come down a lot with my mom to purchase groceries." Users can click on points on the map to hear a sound clip or interview with a local person, which Ho hopes will help tell the story of the neighbourhood. "I hope that this project will highlight how Chinatown is a living and breathing community," said Ho. Ho first became interested in sounds that exist in different environments, also known as "soundscapes," when she attended a presentation at UBC by another student that had created a sound map. She was fascinated by how sounds can show something unique about a place. "It can tell the story of the places in the neighbourhood that are special," Ho said. To expand the project she received a grant from UBC's Asian Canadian and Asian Migration Studies program. She also received support from Chinatown Today and the Hua Foundation, as well as contributions from community members who provided some of the sounds on the map. The map is meant to bring the experience of being in Chinatown to listeners, but Ho also wants people to consider how different sounds can indicate the different types of spaces in the changing neighbourhood. What started as a ghetto in the late 19th century for incoming Chinese immigrants quickly grew into one of the largest, most vibrant Chinatowns in North America. In the mid-20th century, the district went into decline as many businesses and residents moved to other parts of Metro Vancouver. Though it was officially designated a national historic site in 2011, developers have been eager to get in as part of a movement to revitalize the downtown neighbourhood. Ho says the sounds of the area and its spaces will mean different things for different people. "I can go to a dry goods store, and I can also feel OK navigating through a fitness club in Chinatown," said Ho. "But if you consider the position of a Chinese senior, they might not have that ability to feel comfortable in certain spaces." Ho recorded clips in a variety of places in the neighbourhood, but her favourite sound clips are ones that bring up old memories. One clip entitled "Say whaa?" recorded on East Georgia Street, is of a grandmother admonishing a young child at a market. "She just yelled at him in a really strict Chinese grandmother tone — when you listen to it, it's something that youth such as myself can relate to," said Ho.